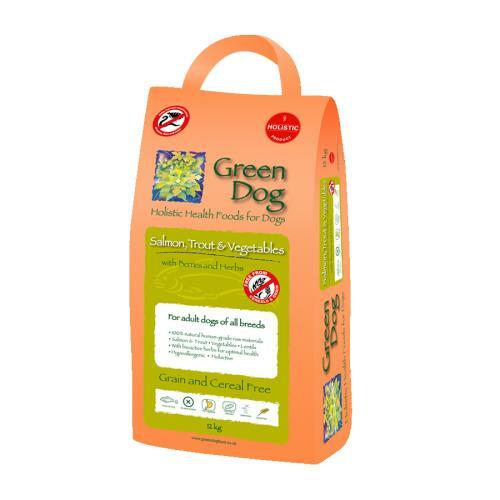 Green Dog Grain Free Trout & Salmon is a healthy alternative that takes into account the holistic needs of your canine. Made with 100% natural ingredients, no added synthetic ingredients and only human grade meat, vegetables and bioactive herbs allowing your dog to enjoy the taste as well as reap all the benefits a natural diet brings. Trout, salmon, vegetables, lentils, herbs, sweet potatoes and berries.